There’s a perfectly timed new coupon today that makes for an awesome deal at Pubix through Sunday! 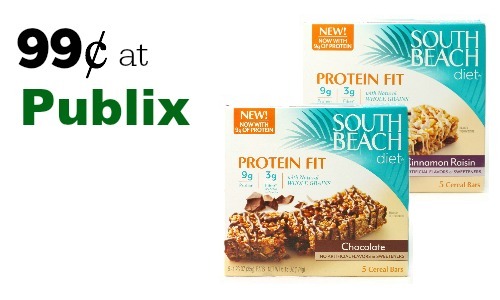 Get a new $2 off South Beach Protein Bar Coupon and pair this with a printable store coupon to save $4 off one box!! If you have a Bi-Lo nearby these are also a great deal there. They will take the Publix coupon too, so head to either store!